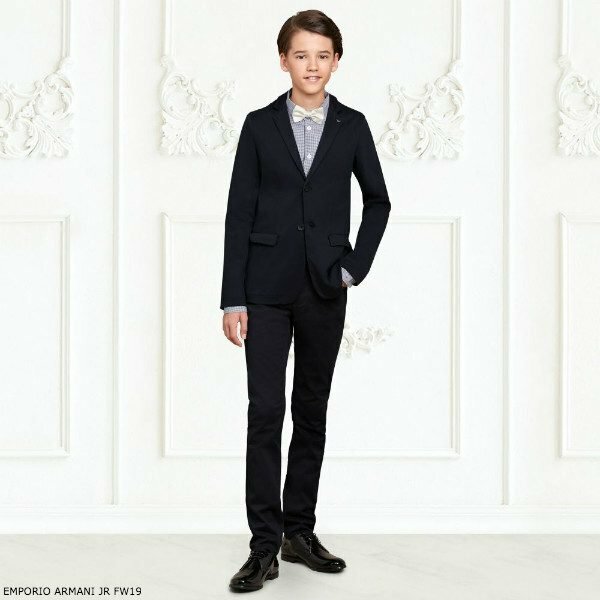 Love this streetwear look for boys this Fall Winter 2019 Season featuring this amazing EMPORIO ARMANI Boys Navy Blue Cotton Suit. Inspired by the Armani Men’s FS19 collection, this boys navy blue cotton jersey blazer by Emporio Armani is styled from the menswear collection. The stylish jersey blazer has buttons to fasten and an eagle logo badge on the lapel. 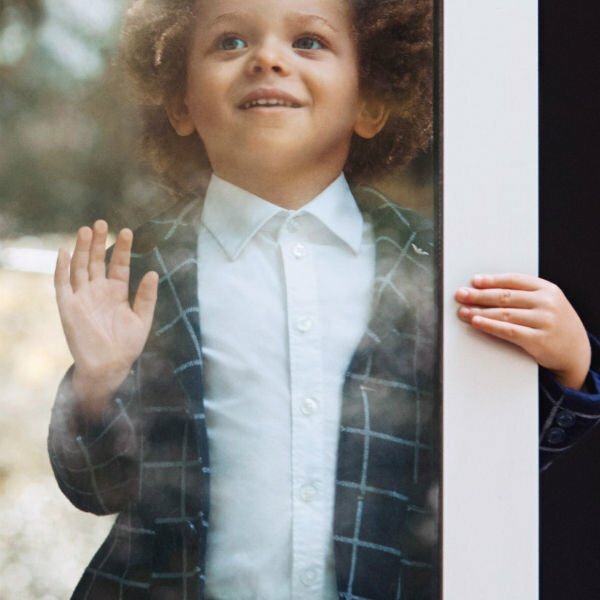 Looks perfect with a pair of matching navy blue cotton dress pants and Emporio Armani boys mini-me micro-check shirt made in fine navy blue and white cotton, with the designer’s signature eagle logo embroidered in navy blue on the chest. Complete the look with a white bow-tie and pair of EMPORIO ARMANI Junior Boys leather dress shoes.